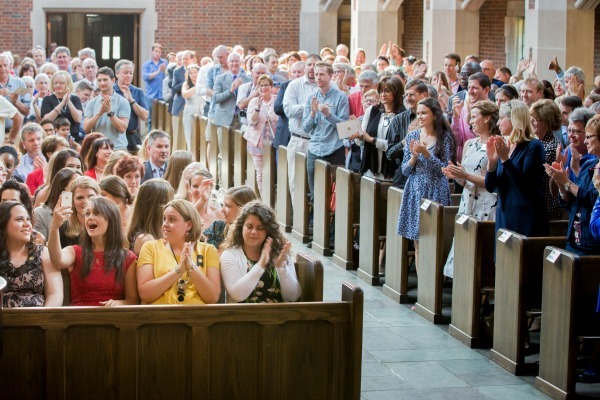 Family and friends packed Wightman Chapel in the Scarritt Bennett Center for Vanderbilt University School of Nursing pinning ceremonies on Thursday, May 11. 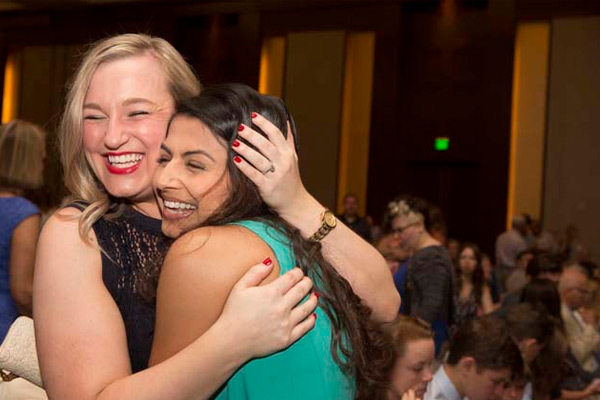 More than 300 people were on hand as new Master of Science in Nursing, Doctor of Nursing Practice and Post-master’s Certificate graduates received VUSN nursing pins and pin guards. 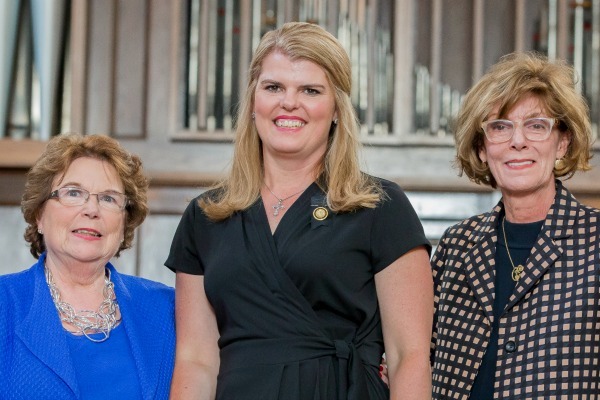 VUSN Dean and Valere Potter Menefee Professor of Nursing Linda Norman, DSN, R.N., FAAN, explained that the tradition of presenting a pin to new nurses dates back to Florence Nightingale. Each nursing school in the U.S. has its own unique pin. VUSN’s features university founder Cornelius Vanderbilt and the school’s black and gold colors. 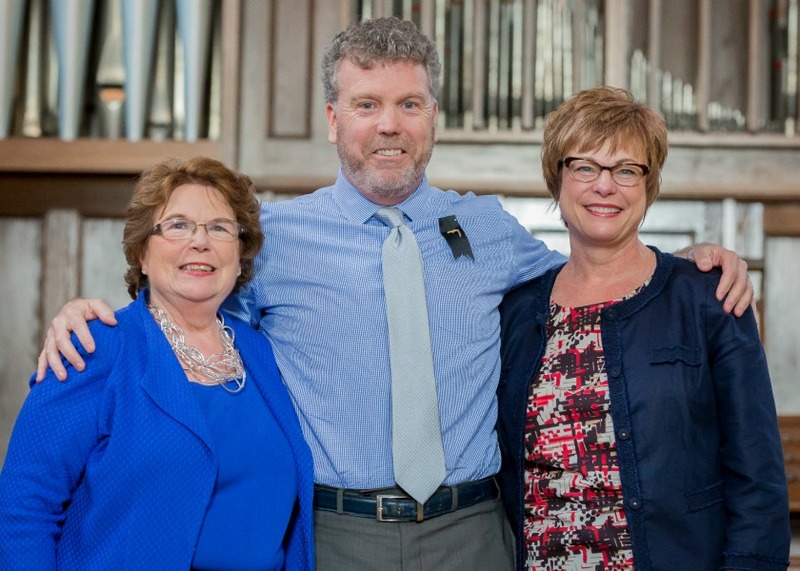 As Senior Associate Dean for Academics Mavis Schorn, Ph.D., CNM, FACNM, read their names, 28 MSN graduates received pins from the directors of their specialty programs. Seven Adult-Geriatric Acute Care/Family Nurse Practitioners (Emergency Focus) were pinned by Jennifer Wilbeck, DNP, ACNP-BC, FNP-BC, ENP-C, FAANP; one Health Care Leadership Nurse Practitioner was pinned by Clare Thomson, DNP, JD, FAANP; nine Women’s Health/Adult-Geriatric Primary Care Nurse Practitioners and one Women’s Health Nurse Practitioner were pinned by Ginny Moore, DNP, WHNP-BC; and 10 Nurse-Midwifery/Family Nurse Practitioners were pinned by Michelle Collins, Ph.D., CNM, FACNM, FAAN, and Courtney Pitts, DNP, FNP-BC. 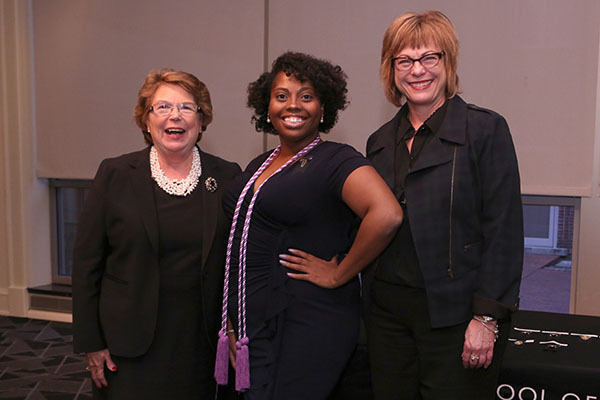 Terri Allison, DNP, ACNP-BC, FAANP, director of the DNP program, presented 21 doctoral graduates with pin guards to be worn with the nursing pins they received when first becoming nurses. 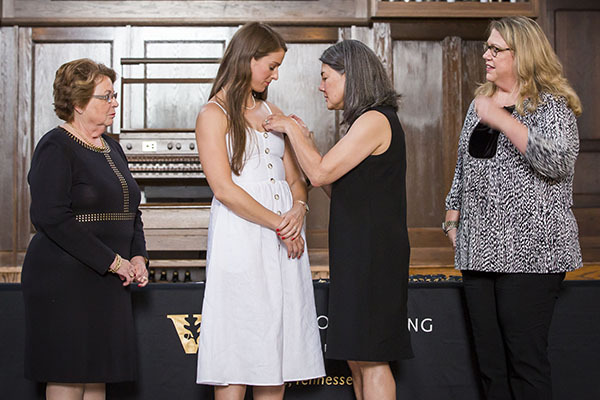 VUSN holds pinning ceremonies in May, August and December, with the majority of recipients pinned in August when most students complete their MSN programs. In May, the ceremony is held the day before Commencement.